Post-accident safety glitches can be very expensive for employers. 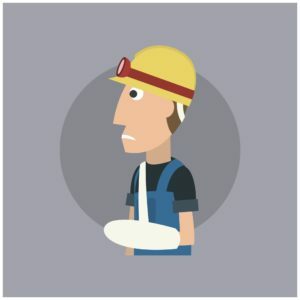 Post- accident safety can be thought of as risk management protocols in the next few hours after a Workers Comp accident occurs in the workplace. 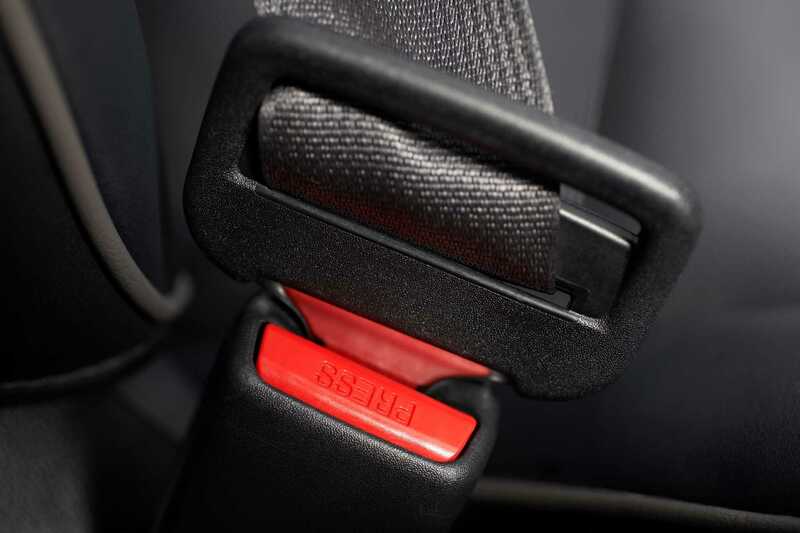 The terms Loss Reduction or Loss Control are interchangeable with post- accident safety. In my presentations, I like to refer to not performing immediate protocol actions (within 24 hours) as failures in post-accident safety. Keeping an employee safe does not stop at the occurrence of an accident. The First 48 hours set the tone and costs for the claim. I have covered post-accident safety in detail with other articles on this blog. The injured employee still requires a reasonable amount of post-accident safety. The Six Keys To Saving on Workers Comp $$ that I had written in the 1980’s have not really changed except for adding in two more keys. Physician’s Network – where does the employee treat? 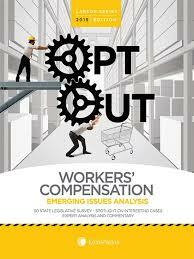 Making Workers’ Comp a Priority – do you just write a check to the TPA or carrier? 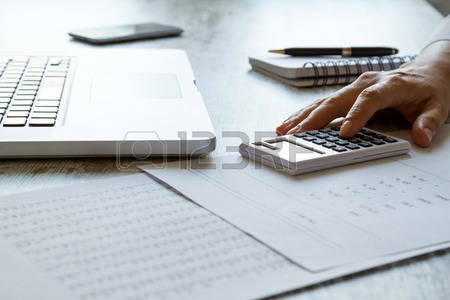 Understanding The Premium Audit Process- how your final bill has been calculated. 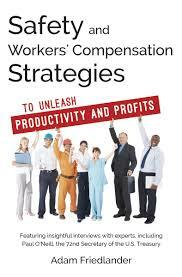 NCCI just published a study that agreed with what everyone in the WC community knows will cost employers dearly. The one area that astounds me to this day is the lag time on reporting injuries by employers. 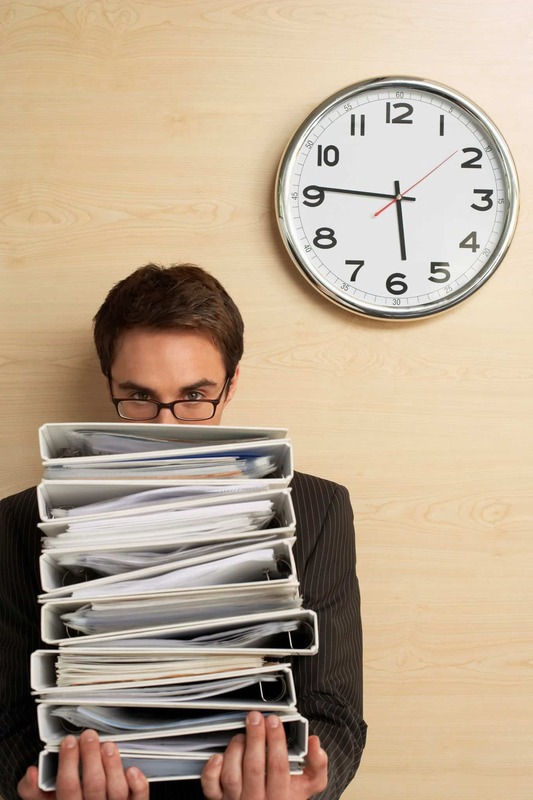 Lag time is likely the easiest to fix that will result in huge savings on WC for employers. 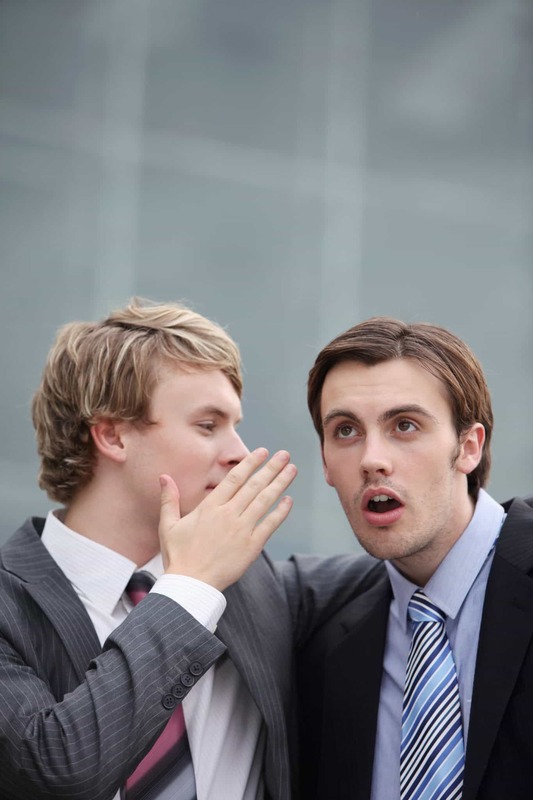 NCCI has said that employers that report claims that pay 51% more than employers that report timely. Post-accident safety involves the time taken to report a claim. Time is of the essence in reporting claims to a carrier or Third Party Administrator (self-insureds). The two massive informal studies that I performed on public entity claims confirmed NCCI’s report. However, the number I came up with for long reporting lag times was in the neighborhood of 400%. Many employers will consult with me on claims that have gotten out of hand and are looking for any type of claims cost reductions. Some of the claims have the hallmark of late reporting. Some are setting in multiple brown folders on my desk. Online first notice of injury reporting has become so popular over the last few years. Over the last 30 years, the Six Keys have not changed overall. I had thought that timely reporting would be a non-issue by now. Timely first reporting was the first key as I had thought lag time would have been eliminated by 2015. That is not the case. Our Work Comp Safety Week begins with DBM’s from our new safety consultant Glen DuLac. We began the discussion on DBM’s last week. DBM’s (Dominant Buying Motivators) can be applied to the HR function in most companies. Based on my experience, the DBM of knowledge and experience is the least frequent of the four DBMs. The fact of the matter is that very few technical questions are asked in job interviews and even rarer are subject matter test given. In most cases, interviewers never took notes. For the reader who wants to draw a line in the sand and stop wasting his or her time on dysfunctional interviews, I provide the following list of red flags. If a company refuses to do a phone interview, they may be dysfunctional, if the panel consist of more than three people they may be dysfunctional, if you are requires to go on more than three interviews, consider them dysfunctional, if the opening is continually in the newspaper or on the internet, consider them dysfunctional, if they have no time line as to when they will make the appointment, they are probably dysfunctional, if they have not written questions to ask they are dysfunctional, if they don’t make a record of your answers they are dysfunctional and they are stupid. Finally a company that only uses interviews for selection is very naive and probably dysfunctional. One of the most profound changes in recruitment has been the internet. Twelve years ago, most help wanted recruitments were in the newspaper. The typical response was by mail or by fax. Now the Sunday classifieds is 1/3 of its former size. Most ads are on Monster or Hot Jobs. With e-mail it is easy to send your resume to scores of potential employers. However, this ease is really a curse. In California, a recruiter will get 300 or 400 responses for a Safety Manager position. It is far too easy for an unqualified person to gin up a nice resume and send it to a thousand employers every year. Because the interview process is so inexact, many unqualified people get hired purely on their interview skills. 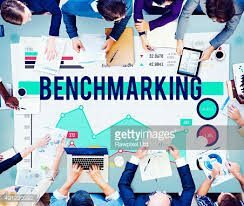 We live in an age of standards, ISO 9000, ISO 14000, TQM, benchmarking, best management practices and more. Despite all of these standards no one has devised a good model for recruitment and selection. Therefore, I will propose a reasonable model of hiring, it can be used by any company who is forward thinking enough to detach from the interview process. the position and why the candidate feels that they are qualified. history they will be rejected. for his choices based on knowledge and accomplishments. Seventh: An offer will be made. Some of the keys to the process are deadlines and the subject matter test. What a novel idea, hiring someone who can objectively demonstrate knowledge about his or her profession. Another, element to this process is the option of doing a phone conversation with the hiring manager. In other words, if the candidate wants to do a phone meeting they are allowed to do so. This is positive because the hiring manager will not be distracted buy the physical appearance of the candidate. The benefits of using this model for hiring mid managers are many: reduced turnover, increased productivity by hiring people who have demonstrable knowledge and reduced litigation because you have minimized poor employment selection practices. There will be more on this subject later in our Work Comp Safety Week. The subject of Work Comp safety is one of the areas that I have harped on for years. Assisting clients with reducing their premiums and Mods is something we have done for over 20 years. The one area that we are often asked questions on concerns Work Comp Safety. In other words, why do we preach safety as the ultimate way to Cut Workers Comp Costs but have no safety people on board our organization? We had a safety consultant on board five years ago for a brief period as part of our CompScreen Safety Program(c) . However, that did not work out as planned. 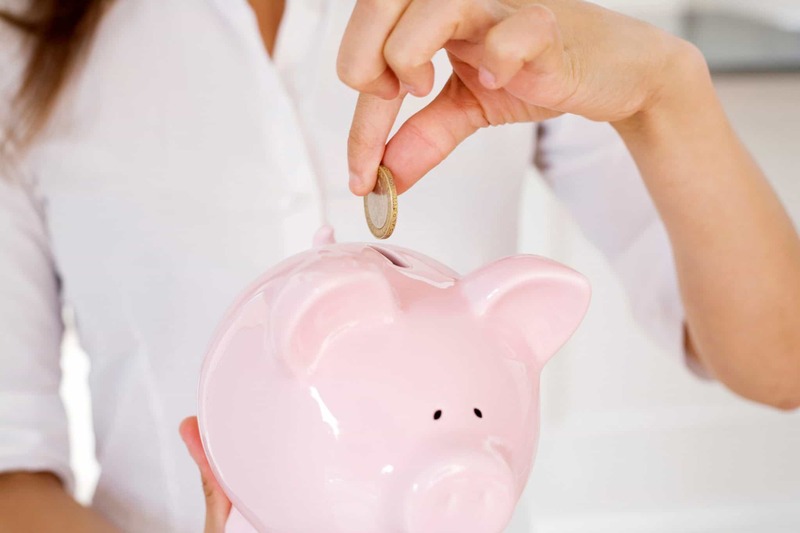 I am going to attempt to cover safety in more depth next week in the blogs and newsletter as it is so crucial in cutting WC premiums or self insured budgets. 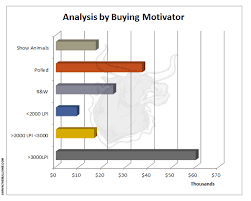 First it is necessary to cover a concept called Dominate Buying Motivator or DBM. In ever buying transaction a person will have one or more DBMs. A DBM is a key desire or element that must be satisfied before a buyer will commit or go forward with a purchase. Take cars for example, if I buy a car, my DBM is reliability, I will never buy an intro model and I will only buy cars with height levels of reliability. If the car is for my wife the issue of color is important. She hates black cars, but is very happy with blue or silver or red, her DBM is aesthetic. A third person might only buy a certain make or model of car, his DBM is status. 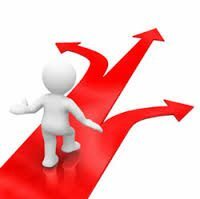 In the same way that we are motivated in our buying decisions, we are also motivated in employment selection decisions. What are the DBMs of most hiring managers? Obviously, this is no simple question to answer; and the DBMs may change from one job to another. For the discussion of this paper, we should isolate the following hypothesis to the selection of mid management positions. The hypothesis is simple; there are four DBMs that dominate the selection decisions of managers who interview mid management candidates for open positions. Further, each DBM is two dimensional therefore a possibility of eight DBM subsets exists. It would be extremely naive of me to think that I have come up with all the DBMs involved in hiring for mid management positions. The South Carolina Opt Out decision may be a reality soon. 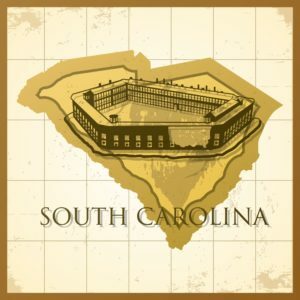 The South Carolina State House introduced a bill that may actually allow South Carolina companies to Opt Out of Workers Compensation. South Carolina would join Texas, Oklahoma, and possibly Tennessee in being the country’s Opt Out states. A BILL TO AMEND THE CODE OF LAWS OF SOUTH CAROLINA, 1976, BY ADDING TITLE 64 SO AS TO ENACT THE “SOUTH CAROLINA EMPLOYEE INJURY BENEFIT PLAN ALTERNATIVE”, TO DEFINE NECESSARY TERMS, TO AUTHORIZE NEW FORMS OF INSURANCE COVERAGE AND EXEMPTION FROM THE SOUTH CAROLINA WORKERS’ COMPENSATION LAW, TO PROVIDE CERTAIN NOTICE REQUIREMENTS, TO REQUIRE PAYMENT OF CERTAIN FEES, TO PROVIDE FOR THE COLLECTION AND MAINTENANCE OF CERTAIN INFORMATION, TO PROSCRIBE CERTAIN RULES AND FORMS, TO PROVIDE CIRCUMSTANCES FOR THE ADOPTION OF CERTAIN INSURED OR SELF-FUNDED BENEFIT PLANS, TO PROVIDE REQUIREMENTS FOR CERTAIN BENEFIT PLANS, TO PROVIDE APPLICABILITY OF CERTAIN STANDARDS, TO AUTHORIZE CERTAIN LUMP SUM PAYMENTS, TO AUTHORIZE CERTAIN SETTLEMENT AGREEMENTS AND SPECIFY CONDITIONS AND LIMITATIONS; TO PROHIBIT CERTAIN FEES OR COSTS, TO REQUIRE THE PROVISION OF CERTAIN INFORMATION, TO PROVIDE QUALIFIED EMPLOYERS MAY INSURE OR SELF-FUND CERTAIN RISKS, TO PROVIDE EMPLOYERS SHALL SECURE COMPENSATION IN SPECIFIED WAYS, TO PROVIDE CERTAIN SETTLEMENT AGREEMENTS, TO PROVIDE CERTAIN FINANCIAL SECURITY REQUIREMENTS, TO HOLD CERTAIN INSURANCE AGENTS AND BROKERS HARMLESS FOR CERTAIN ACTIONS, TO PROVIDE FOR CERTAIN FUNDS AND THE PURPOSE OF THOSE FUNDS, TO PROVIDE FOR THE DEPOSIT OF CERTAIN PREMIUM TAXES, TO REQUIRE PAYMENT AND COLLECTION OF CERTAIN FEES, TO PROVIDE FOR THE DETERMINATION OF CERTAIN ASSESSMENTS, TO PROVIDE CERTAIN NOTICE REQUIREMENTS, TO PROVIDE FOR THE EXCLUSIVITY OF CERTAIN LIABILITIES AND REMEDIES, TO PROVIDE RELATED RESPONSIBILITIES OF CERTAIN EMPLOYERS, AND TO PROVIDE PLANS MUST CONTAIN CERTAIN RIGHTS, AMONG OTHER THINGS. If South Carolina Opt Out is ever enacted, the state has two and possibly three “blueprint states” for reference in the future. South Carolina is in the throes of a deep recession. 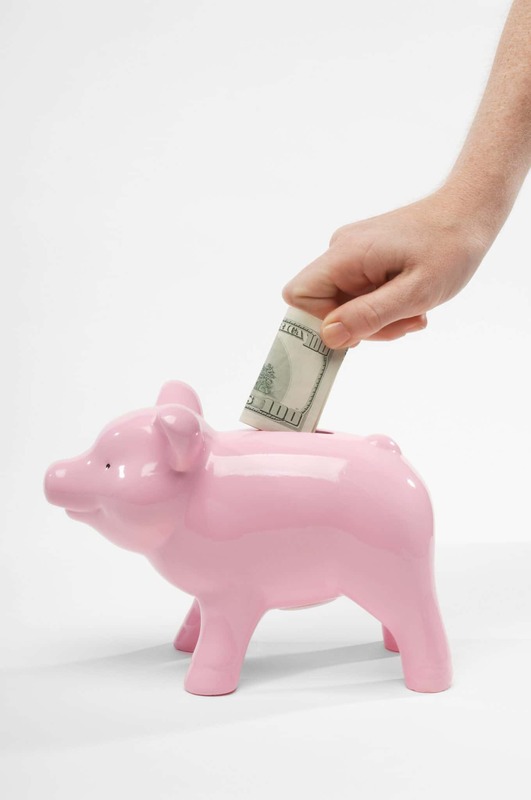 Anything that can possibly help cut operating costs for employers would be very helpful in the long run. The subject of Work Comp Combined Ratio seems to be appearing more in the insurance press lately. 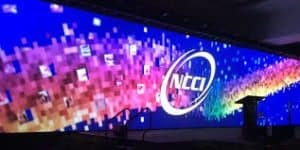 I was unable to attend the NCCI Annual Issues Symposium. However, I did make it to their data conference in March of this year. One of the better definitions of the Combined Ratio can be found here. The combined ratio is calculated by taking the sum of incurred losses and expenses and then dividing them by earned premium. The ratio is typically expressed as a percentage. A ratio below 100% indicates that the company is making underwriting profit while a ratio above 100% means that it is paying out more money in claims that it is receiving from premiums. Even if the combined ratio is above 100%, a company can potentially still make a profit, because the ratio does not include the income received from investments. 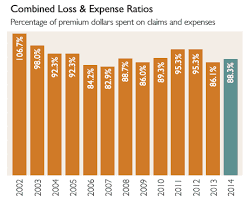 The Work Comp combined ratio for all insurance carriers for 2014 was 98%. When a carrier is able to write WC insurance at some type of profit, this ensures a healthier market. According to the NCCI State Of The Line -see Slide 13 from the presentation – the Combined Ratio = (Loss + Loss Adjustment Expenses + Underwriting Expense + Dividends) / Earned Premium. Insurers like to see that they do not have to rely on investment earnings to cover all the expenses of writing WC. Operational efficiency is a C-level buzzword that refers to the Combined Ratio. The last time that a Combined Ratio came in under 1.0 was in 2006. The ratio that year was 93%. One has to remember that NCCI does not cover all states. They do cover just less than 40 states. This is a large enough percentage to reflect most, but not all of the WC market. You may want to peruse all of the slides in the presentation. NCCI always performs a great job when it comes to PowerPoint slides. California has not been below 100% on their Work Comp Combined Ratio since 2007. However 2014 had shown a great improvement. Check out the WCIRB Analysis here and then go to Exhibit 6 to see California’s combined ratio for the last few years. The 2014 year’s ratio was 105%. The nightmarish years for California’s Combined Ratio was in the 1990’s when it exceeded 150%. The State Fund ended up with almost the whole market due to such heavy underwriting losses. North Carolina medical treatment has become a very important driver in Workers Comp Costs in the last decade. I am attending the North Carolina Safety Conference this week. One of my favorite law firms had put up a vendor booth. After speaking with Ginny Allen at their booth, I decided to add in a bit of their Workers Comp cheat sheet in this post. The whole cheat sheet can be found here. 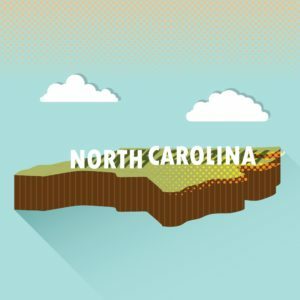 If you have ever handled or run across Worker Comp in NC from any angle, I recommend downloading the full cheat sheet by using this link. All they want is your email address. They are far from spammers, so signing up will not cause your inbox to explode with junk mail. Please pay attention to the 7 business day waiting period on medical authorization as to not buy medical treatment that you may not have authorized in the first place. We have seen many companies getting burned on this rule lately. North Carolina Medical Treatment In admitted claims, the employer and carrier have the right to direct medical treatment. In case of controversy, the IC may order treatment in its discretion. The IC may at any time upon the request of the employee order a change of treatment or designate other treatment suggested by employee subject to IC approval. The refusal of employee to accept any medical, hospital, surgical, vocational rehabilitation, or other treatment when ordered by the IC may bar employee from further compensation and no compensation shall be paid during the period of suspension unless the IC orders that the circumstances justify the refusal. The right to medical treatment shall terminate two years after the employer’s last payment of medical or indemnity compensation unless: 1) the employee fi les an application for additional medical treatment which is approved by the IC; or 2) the IC on its own motion orders further medical treatment. Employees are entitled to reimbursement for sick travel when the travel is medically necessary and the mileage is 20 or more miles round-trip. The reimbursement rate in 2014 is 56 cents per mile (56.5 cents for 2013). Travel expenses for an employee’s second opinion on the rating are not reimbursable. If a medical bill has not been paid by the carrier within 60 days after the bill was properly submitted to the carrier, a 10% penalty can be ordered by the IC. To the extent the carrier requires preauthorization for in-patient treatment or surgery, when the carrier receives a preauthorization request on a Form 25PR, a response is required within seven business days unless an extension of time is obtained from the IC. If no timely response, the surgery or in-patient treatment is authorized by default. § 97-25.3. Rule 1001. 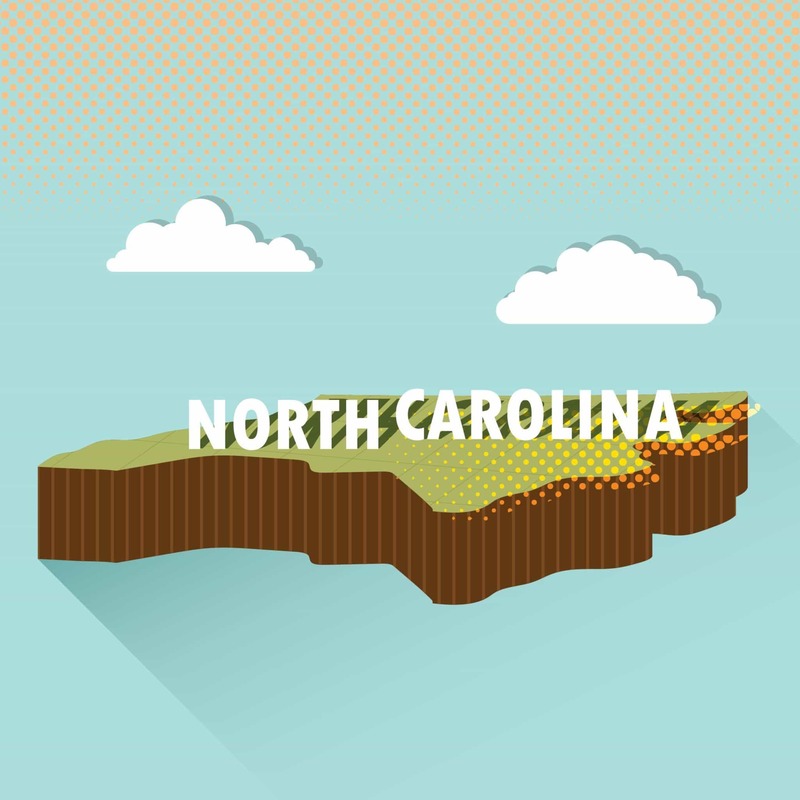 North Carolina medical treatment may not be that complicated to administer under WC. However, not following the rules can cost a company dearly. I had commented on this rule from CSH’s WC news alert. You should also sign up for this service. It is freebies. If your company receives a bill without a full breakdown of what is charged, we recommend that you immediately write, not call, the insurance carrier to inform them that you have received a bill with no explanation of charges. The work comp audit bill will usually have an address on it. One question to ask is – Was the premium audit accurate? Sometimes, a sharp increase in payroll will result in a bill that is unexpectedly high. Make sure your payroll figures match up with the premium auditor’s figures. The worst thing to do is to just file the bill away. If you renewed with the same carrier that has sent you the bill, you may be cancelled for non-payment. In other words, the worst thing to do is to ignore the bill Another complication is that employers which are written through a state risk pool are not allowed to renew with a delinquent balance to one of the carriers providing coverage in the risk pool. If you, after verifying the bill, feel that you owe the total, you should contact the carrier by phone as soon as possible. It is up to each carrier, but they may allow you to pay it off over time. Do not expect this to happen automatically. Alternative insuring arrangements such as Professional Employment Organizations (PEO‘s) will bill your company each payroll cycle. The work comp audit bill is charged as your company turns in payroll. 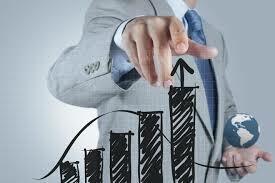 Premium finance companies can be seen as an option. However, unless I am mistaken, there are no premium finance companies that will allow you credit at the end of a policy. Your company needs to have had this arrangement upfront when the policy is written. Pay what you owe, but not an extra penny. The Oklahoma opt out option scored another large victory with the refusal of the state’s Supreme Court to review a recent decision rendered by the Appeals Court. I track Oklahoma’s WC news closely as that is where I grew up and was trained in insurance. The Oklahoma Opt Out option went into effect on January 1, 2014. There have been two major challenges to it including the recent Judy Pilkington et al. v. State of Oklahoma et al case that basically said the plaintiffs were denied due process. The Workers Comp claims of Judy Pilkington and the other plaintiffs were denied by their employer. In 2013, a lawsuit was filed by The Oklahoma Professional Firefighters Association challenging the constitutionality of the new Oklahoma Opt Out law. The Oklahoma Supreme Court rejected the challenge in December 2013. 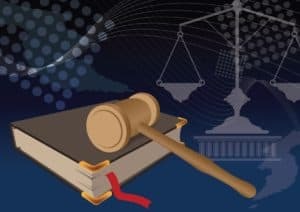 The Court SB 1062 “is not unconstitutional as a multiple-subject bill.” The challenge was that each Senate Bill should only cover one subject and this was a multi-subject bill. There is no due process protection in allowing an Oklahoma employer to OPT OUT of the statutory workers’ compensation system, set up its own benefit plan, make all the decisions regarding benefits, determine who and how a plan can be reviewed, and have total control of the development of the record for appeal. Nowhere along the way is there an agency or court or unbiased tribunal to look at the merits of an injured worker’s case. OPT OUT employers are allowed to replace a judge with a committee chosen by the employer. That flies in the face of the federal and state constitutions. Do Workers Comp plans owe the injured employee due process under the law? That is a very interesting point. Can a committee chosen by an employer actually make decisions that have the force of law? The Oklahoma Opt Out provisions will have more challenges in the future. California Workers Comp System – What Happened To The Reform(s)? The California Workers Comp System was supposed to reduce costs after SB 863 was enacted in 2013. SB 899 was the previous cost-saving measure that seemed to hold California’s Workers Comp costs which seemed to work for five to seven years. California employers paid $3.48 per $100 of payroll for WC coverage. The nationwide median was $1.83. The lowest rate was North Dakota at $.88 per $100 of payroll. WC is usually measured per $100 of payroll. North Dakota may be changing over time as many of the very unsafe oil worker jobs would have recently increased due to the oil boom in North Dakota. In the early 2000’s a few of our California roofing clients were paying over $138 per $100 of payroll. The roofers had a very large overhead from just WC alone. I had sometimes wondered how they were able to stay afloat. Most of this data came from the Premium Rate Ranking Summary from Oregon’s Department of Consumer and Business Services. The Oregon study however, should not be taken as the final word on these figures. The WCIRB – California workers comp system rating bureau- had also recommended a heavy rate increase even after the reforms were put in place. The reason I cover the California workers comp system extensively is that many of the conundrums that are present in the state are ones that other states have faced or will face in the future. I will cover the reasons to look further beyond this study later this week. The studies that many people base the costs of WC in the nation may be skewed.